In the race to create the world’s first self-driving car, Osram and Phantom Intelligence, a startup company specializing in LIDAR (Light Detection and Ranging) help pave the way with their low-cost LIDAR detection system to meet 2018 Euro NCAP Automatic Emergency Braking requirements. LIDAR works on the principle of radar but uses light from a dedicated infrared pulsed laser. Current systems are large and expensive. Phantom Intelligence’s Automotive Wideview LIDAR is a compact, less expensive unit that is proven reliable for low-speed obstacle detection in city driving. Phantom Intelligence developed the weather resistant LIDAR system using Osram infrared pulsed laser diodes (2x SPL LL90_3) and photodiodes (7 x SFH2400FA), which work to detect objects on the road and help prevent a collision. The lasers deliver a high efficiency of up to 40 percent at 70 watt peak output power, achieving a long operating lifetime. 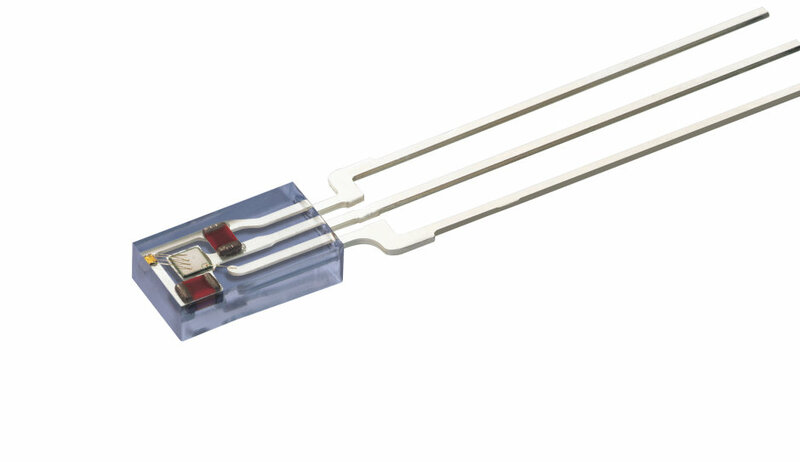 The photodiodes are especially suitable for automotive applications given their short switching time. Original equipment manufacturers that incorporate Phantom’s LIDAR into their vehicles to enable active safety features can realize cost savings and obtain better performance. “Osram’s quality and cost effective infrared products enable this low-cost LIDAR system to soon become a reality in advanced driver assistance system markets”, said Rajeev Thakur, Infrared Product Marketing Manager of Osram Opto Semiconductors. LIDAR can be mounted inside the windshield and behind the rearview mirror, an approach that provides better performance consistency than on the vehicle’s front bumper and reduces replacement costs in case of damage to the vehicle. This product is ideal for low-end vehicles to meet Euro NCAP Automatic Emergency Braking requirements for urban driving. As safety technologies evolve with regulations and autonomous driving, LIDAR, complemented by cameras and radar, could give automakers enough information on the surrounding environment to navigate fully autonomous vehicles. European and U.S. NCAP regulations require that vehicles meet certain standards in order to get a five-star vehicle safety rating. With Osram’s support, Phantom Intelligence plans to make the next generation LIDAR systems even better in order to improve obstacle detection and collision mitigation solutions, increasing the safety of all vehicles. “Our ultimate goal is to save lives, spare worries and cut travel time”, said Deschenes. More information on Phantom Intelligence can be found here, for more information on the implemented Osram infrared products, please visit our website. Phantom Intelligence wants to reduce collisions by making reliable automated braking systems affordable to all vehicles. Phantom Intelligence’ collision warning sensor technology can be trusted where other sensors fail. Compact, low-cost and without moving parts, LiDAR sensors powered by Phantom Intelligence meet stringent automotive requirements to provide 360 degree awareness. For more information go to www.PhantomIntelligence.com.